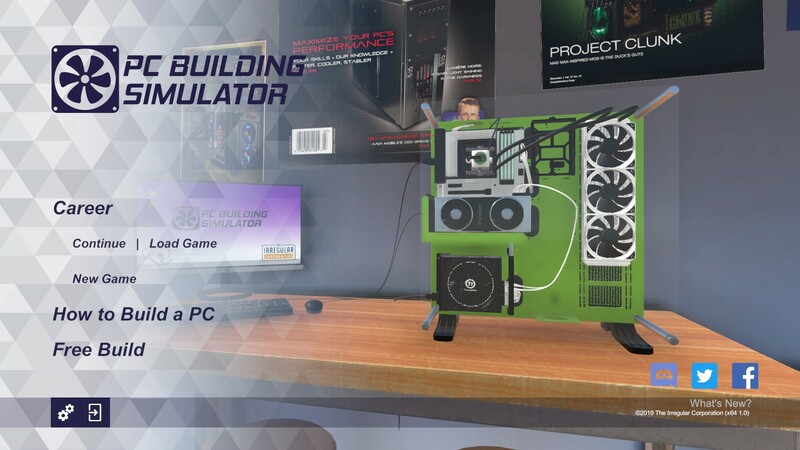 I had the pleasure of reviewing PC Building Simulator during the first quarter of 2018, which admittedly was a pleasant surprise. As an avid PC Builder myself, I was not entirely convinced that I would enjoy a digital simulation of a hobby that I have adored for decades. Our full review of PC Building Simulator can be found here, just keep in mind that was version 0.7.10.1 of the game. During early access, the game was absolutely fantastic, and it has been wonderful experiencing the steady updates that have occurred during the last 10 months. 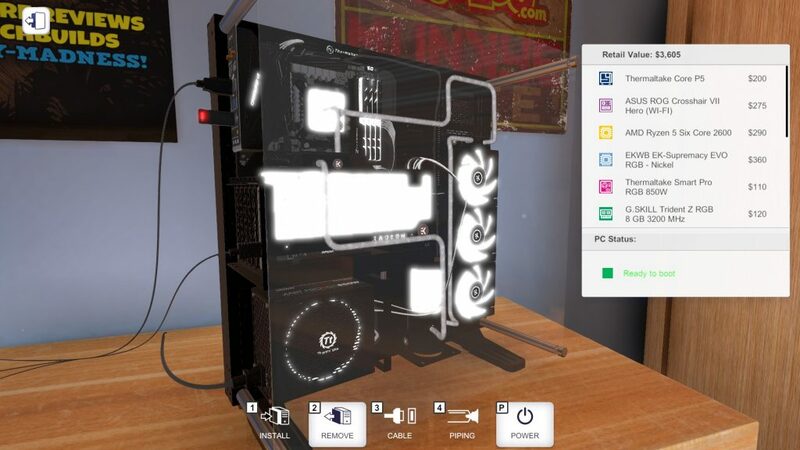 All of those upcoming features that were mentioned in our review made it into the game, and several more manufacturers have partnered with PC Building Simulator in an effort to faithfully replicate the hardware that is available in the real world. With the release of V.1.0, the newest partners are: Nvidia, Thermaltake, and Deepcool. This means there plenty of new cases (including the exact model I am using for Arctic Flow), cooling solutions, and of course reference Nvidia graphic cards. Now you can equip your (virtual)PC with the latest GeForce RTX cards without having to take out a small loan! In addition to all of the new components, more jobs/stories have been added to career mode, and additional Steam Achievements are now available for PC Building Simulator. The only down-side is that if you played a fair bit before the game hit full-release, you will have to start career mode from the beginning. I know this sounds slightly frustrating, but due to the significant changes it was a necessary evil. On the upside though, with all of the new stories that have been added, most players would probably want to start over anyway. 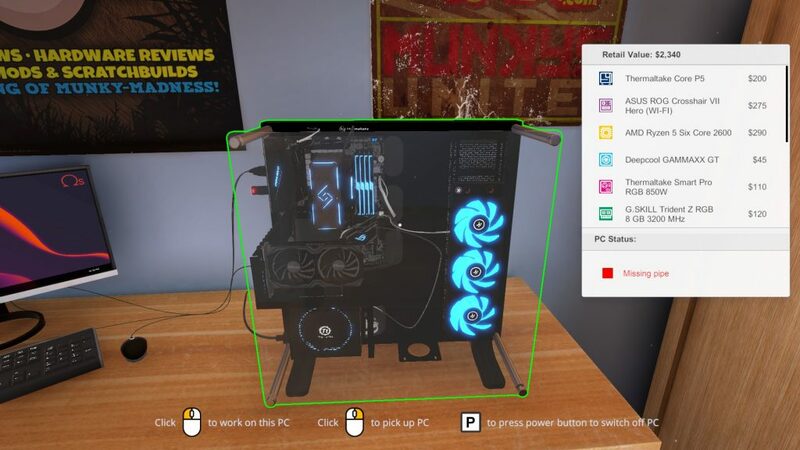 PC Building Simulator also now allows you to tweak settings within the BIOS of your build as well as overclock all of your components. These particular features have been in the game for quite some time now, but they are considerably useful if you want to experiment in a safe virtual environment before trying them out in the real world. Now this is not to say that 3DMark scores within the game are indicative or rather exactly the same as they would be in real life; but they will at least give you an idea of how much of a performance difference exists between various components and clock speeds. You can of course also experiment with water cooling. Whilst AIO (All-in-one) coolers are naturally in-game due to their popularity, the ability to create custom loops is a fantastic addition. 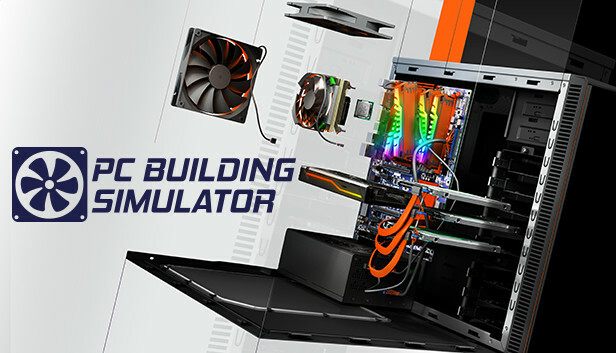 With the ability to bend your tubing in exactly the way you want to, it soon becomes apparent that PC Building Simulator is just as valuable as a tool for aspiring systems builders as it is as a fun game for everybody. These features have been in-game for quite some time, but were added long after we reviewed it last year. By far the best (in my opinion) addition to the game since hitting full release is the revamped soundtrack. The in-game music was acceptable before, albeit a little repetitive after it had went through the entire playlist; but I usually found myself firing up my own playlist whilst playing the game. V.1.0 introduces six brand new tracks, which brings the total up to ten. What I was not expecting however, was the vocals that accompanied the tracks. Honestly, one track in particular is quite stunning, to the point it gave me goosebumps. Full details of V.1.0 can be found on the official Steam Page, and the game is currently on sale for $19.99 USD (10% off through February 5th, so only $17.00). There is also an Overclocked Edition available for for around $5 more, which contains two exclusive versions of the NZXT H700 and H500 cases as well as the complete soundtrack. Current owners of PC Building Simulator can purchase the DLC separately.